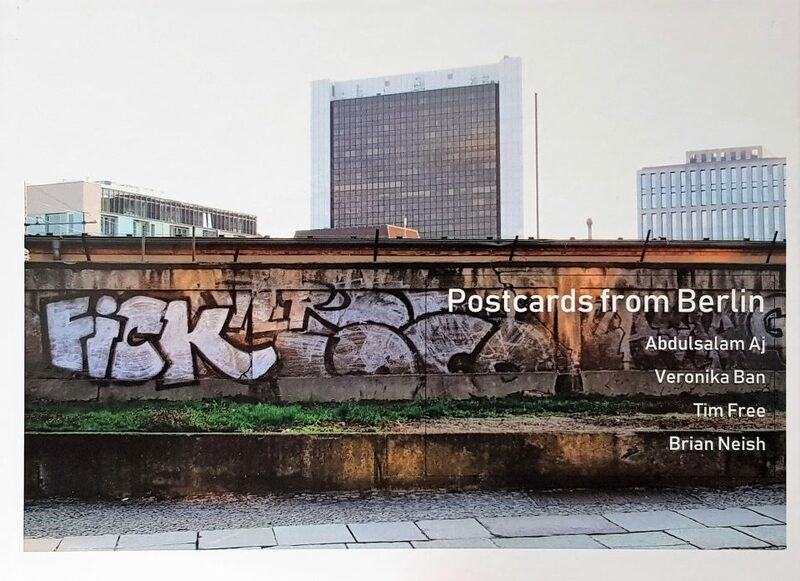 Following Brian’s successful ‘Recent Works’ Solo Exhibition in Amsterdam last year, you can now see a selection of his paintings celebrating his first seven years as a full-time artist at the Steven Baker showroom in Crawley, Winchester. While Brian is once again living in the county of Derbyshire where he grew up, the historic city of Winchester still calls him back to Hampshire. Here he studied art at King Alfred’s College (now Winchester University), graduating with a First Class Honours Degree in Art & Education. 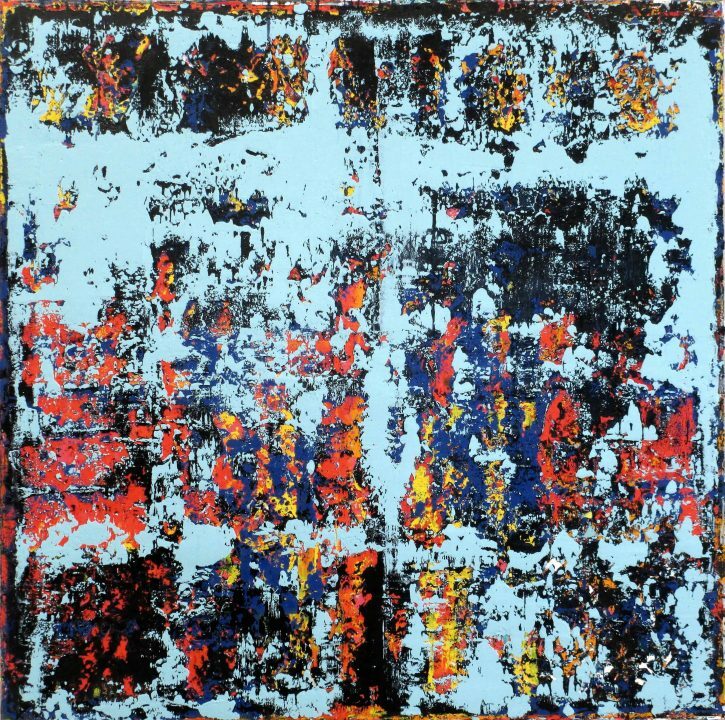 Winchester University has one of Brian’s paintings, ‘Golden Gate’ (2013) on permanent display following his exhibition ’30 Years On: Brian Neish Solo Exhibition at The University of Winchester’ in May 2015. 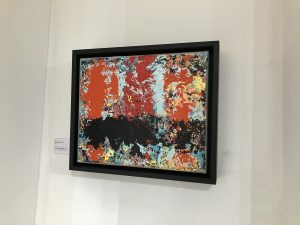 When the opportunity to hang a selection of Brian’s paintings at Steven Baker’s showroom presented itself this year, it was just too good to miss. 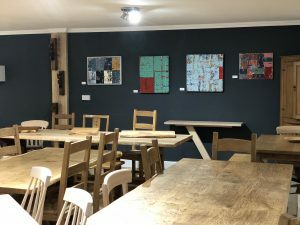 Steve is a master craftsman with more than thirty years experience creating beautiful bespoke handmade tables, seating and furniture in local timbers, mainly English oak. 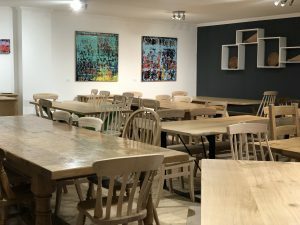 Brian’s paintings and Steve’s furniture really complement each other and can be enjoyed by everyone. 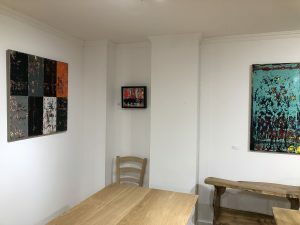 The showroom is open throughout the week and Brian’s paintings are available to view and for purchase until the end of March 2019.